Heritage Acres Venue is located in Northwest Arkansas and surrounded by gorgeous mountain views and rolling hills that encompass its 45 acres. Enjoy the tranquil sights and sounds of Spadra creek on the entire backside of the property. The rustic barn is adorned with elegant chandeliers to create a rustic romantic atmosphere. 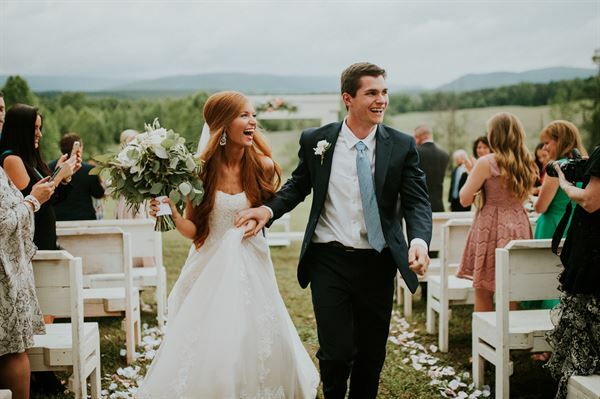 The barn is perfect for a charming rustic wedding reception and the grounds provide multiple outside ceremony sites for the bride and groom to choose from. Attached to the barn is a lovely bridal suite that is available for the bride and her bridal party to get ready for the "I Do's!" There is also a prep kitchen available in the barn for use and also mens and womens bathrooms available for the guests. See the attachment below for our entire pricing sheet! Please contact us if you would like to schedule a tour! If you decide to book with us, we will send you our contract via email! God bless!